Whenever you develop any Mobile App what comes first in your mind? It’s obviously the Name of the Application. Now the other question may be that why we need to give the Unique Name for the Application? 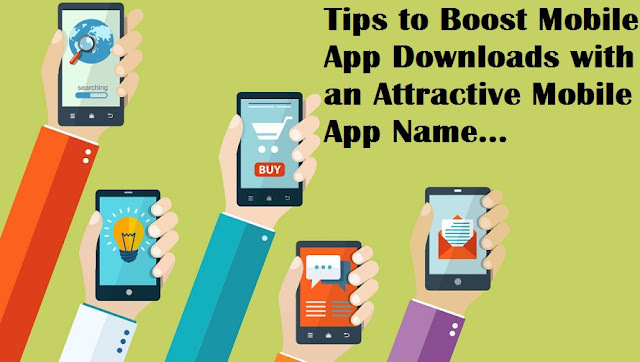 The following article will give you the answer of the same because today we are sharing some useful Top 5 Best Tips to Increase Mobile App Download Numbers with an Attractive Mobile App Name. Why Is It Crucial To Have The Name Of The App? The very basic reason for naming the app is that it has nothing to do with your app it has to do with everyone else's. It's very easy for you to get lost in the mix with such a propagation of apps. This means that your app name isn't just your attempt at creating a first impression. It's your attempt at creating any impression. So it's really crucial to get this part right. 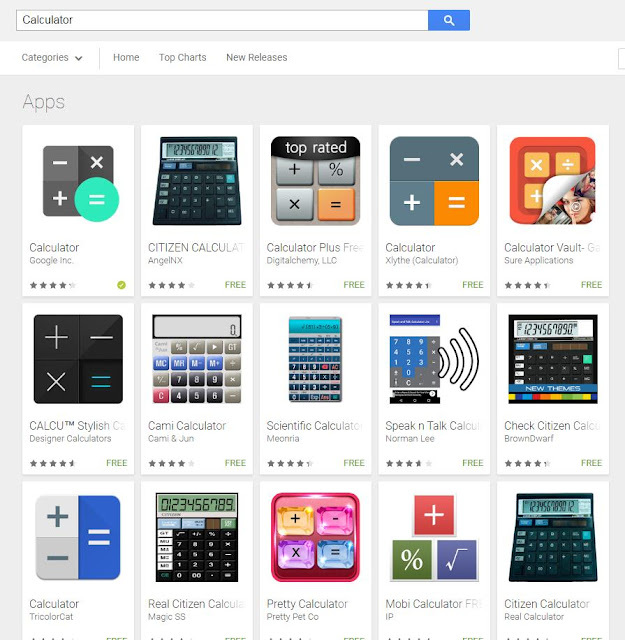 For instance, there are a lot of Calculator Apps. What makes each of these unique? It’s difficult to tell... the only difference in the name is the symbol they use before or after the word "Calculator". Apple recently announced Apple Store Improvement where they decided to clean up the Store by booting up the apps that are buggy and not updated. It is believed that the shorter name of the Business the better it will be. The same rule is being followed in Apps. App Store offers the limit of 75 characters on the app names and the Google Play Store limits the length of up to 30 characters. However, keeping App Names beneath 25 characters is perfect. This is because the app name will be fully visible on a single screen and the name will not get truncated. Hence it’s necessary to keep names short, easy to search, and unforgettable for the consumer. At present, the best examples can be considered as Uber, WhatsApp, and Instagram etc. You can also hire any professional mobile app development company to perform similar work in an easy way. Select a name of the app that flows off your tongue when you say it. For instance, let’s say your application is a Friend-oriented calendar/note/messaging system. It supports better communication with friends and lets them collaborate and organize their weekly schedule. And in the above - stated ways, you can decide the Name of Your Application. One of the most ignored methods to get additional downloads is including the keywords, but actually, it’s really imperative. If you need to enlarge your reach, you'll need to be searchable to folks who've never heard or paid the attention to your brand name before. In simple terms, if they're going to the app store for a particular kind of app, instead of a specific brand, you want them to find you. If you're really immovable for what to call your app, by using a name generator you might get a push in the right direction. You can use the generators such as nameboy.com or dotomator.com. The finest way to use these is as kick-starters for new directions or ideas. Just make it simple for active fans to search your app by beginning with your brand name or name of the company. If you don't start with this name, at least comprise it in the first 25 characters of your app name. When users begin to search, they can only view the first 25 characters of an app name on the page of the search result. Search on the App Store for the exact name you’re going for. If nothing turns up to go to the next step. Search Google for the accurate name you’re going for followed by ‘app’. It should look like this: ‘_add the name of app_ app’. In the ocean of apps and icons, it’s just may be the name that sets it apart. Don't let it be an afterthought – you've put time into planning this thing, so take time in selecting the right name. What you name it should signify what it is and what it does, since you will most likely only have that first impression.